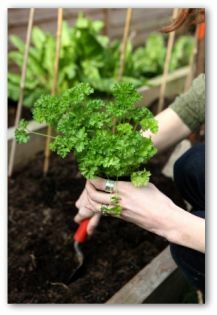 Looking for patio vegetable garden ideas for growing a small garden? 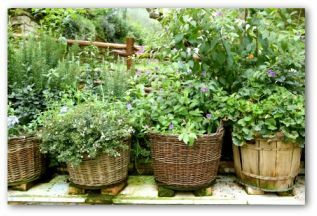 We offer great small space vegetable gardening ideas for a simple container, hanging, or vertical vegetable garden on your patio. Plan a small but productive vegetable garden this year! Are you limited for vegetable gardening space? 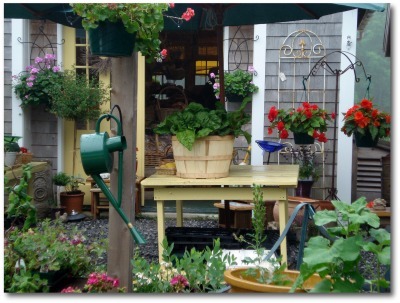 How about the convenience of having your vegetable garden close at hand? These are both good reasons to take advantage of your patio for creating a simple but beautiful small space vegetable garden. Use decorative containers to lay a gorgeous foundation for your garden. Find the sunniest spot on your patio to get the best results, as most vegetables require at least 6 hours of sunlight per day for best results. Techniques that can be used for a patio garden include raised beds, pyramid gardens, and potted plants on wheels. Avoid using ordinary garden soil and buy a good quality soil-less potting mix, which will not house garden-variety weeds or pests. If buying abundant amounts of potting medium does not fit in your budget, use an adequately clean soil mixed with peat moss and compost. 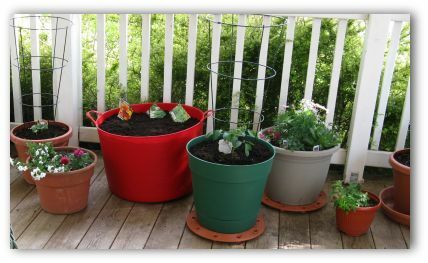 Using a Patio Garden: the biggest containers your patio garden area allows is best. Growing beans is even possible grown in a big enough pot. Five-gallon planters are adequately spacious to grow hearty sizes of tomatoes. Most veggies have shallow roots so pots do not have to be very deep. 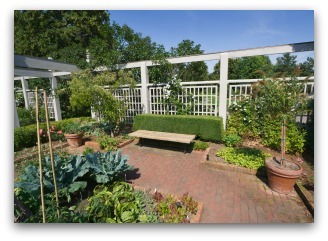 With spaces at a premium, use your imagination for creating novel approaches to designing a patio vegetable garden. 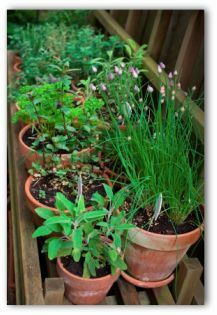 Consider using shelves or hanging pots to create a vertical space-saving vegetable garden on your patio. Many gardeners may have plenty of land but lack the necessary time for maintaining a traditional plot and desire a more convenient way of growing fresh vegetables. Two feet square wooden boxes that are 18 inches deep, half barrels, over-sized clay pots, and large nursery tubs are all good ideas for patio vegetable garden containers. Set as many of the pots on wheels as possible to keep the vegetables on the move! Wheeled carts can be transported easily to turn crops periodically for better sun exposure. Proper drainage is essential for a patio vegetable garden! A layer of rocks in the bottom of a container does not substitute for drainage holes. Ensure water drains from the container's base or into bare ground from raised beds. Place tubs on plastic stands or wood wedges to prevent them from sitting in puddles. 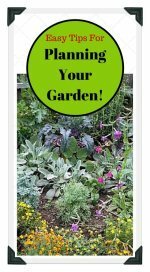 Most vegetable plants can easily prosper in a patio vegetable garden given the right amount of sunlight and care. Choose smaller or dwarf varieties for best results in container gardens. Add a few pots of colorful annuals such as geranium, marigolds, zinnias, or petunias to add beauty and charm to your vegetable garden. Also you can choose dual purpose plants such as fig or blueberry both produce food and are ornamental. For providing overhead shade and fruit to boot, choose mango or avocado if your climate allows. On the plus side, small space patio gardens provide extra protection for marginally hardy plants since they are situated close to buildings. The number one requirement for patio gardens is water. Vegetables need thorough watering every time the soil surface begins to dry. Good drainage is also critical. Check regularly that the plants are receiving plenty of moisture and drain holes are not clogged. Pests should be easier to control than in a full size garden. Be vigilant against invasion by handpicking or washing away the attackers. Potted plants are frequent feeders. Feed with liquid organic fertilizer every week or two, following directions on fertilizer container. Using a drip irrigation system, vegetables can be fed and watered at the same time. In colder climates, patio gardeners can sneak in a few more harvest days by protecting the vegetable garden from inclement weather. Use plant covers to protect cold sensitive plants through the winter. To keep a patio vegetable garden in tiptop shape requires tender loving care. Think of it as larger scale bonsai training. 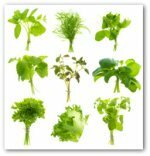 Vegetables can be trained to grow in the desired direction by pruning, pinching, or tying growth back. Add hanging baskets to create more vertical garden space. Grow crops skyward along fences, walls, or a trellis to take the most advantage of your available patio space.